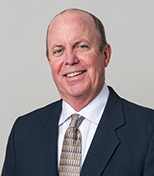 Dave joins the Thomas executive team from the Atlanta office of a large construction firm performing general construction, design/build, and construction management services. His background includes more than 30 years of construction history including project management and estimating experience on projects ranging from less than a million dollars to $350 million. Dave is currently a GC license holder in Florida and Georgia, and has been a USGBC LEED Accredited Professional, BD&C since 2007. Serving in the capacity of Project Executive (PX), Dave has the direct responsibility for leading the department’s operations in a manner consistent with Thomas’ Core Beliefs: Client Service, Excellence, Team, Stewardship, and Continual Improvement. The PX is also responsible for leading and managing multiple project or preconstruction teams to deliver exceptional results for our clients. Ultimately the PX engages in client contract negotiations, insurance requirements and high-level execution, project controls, cost, risk and business management of a single project or multiple projects. His role requires supervising operations, including project managers, assistant project managers, senior project managers and superintendents. As a Building Construction graduate from the University of Florida, Dave has spent the majority of his career in the Southeast. Since relocating to the North Carolina coast, Dave and his wife, Theresa, plan to spend time at the beach and on the water with their three grown children and their young families.